A group of five skaters and two supporters are now in Colombia for the World Roller Speed Skating Championships. The World Championships kick off tomorrow October 21st with the opening ceremony. Racing begins on Friday with the 300-meter time-trials. The Hotel itself is very nice and clean and the staff are amazingly accommodating. After our translator helped us check in and showed us to our rooms we went into the dining hall where the cooks, whom I’m almost positive just woke up for us, made the team warm sandwiches and peach mango juice at 11:30 at night. It was a nice welcoming after a long day. The rooms are both very spacious and clean – although there is a huge gap underneath our door which leads right outside, which makes me think of all the creepy crawlies that could get in, so far I have only seen 1 moth, and I hope that’s all we find. The skaters will compete in a variety of distance races in men’s & women’s junior & senior divisions on the track (200-meters with inclined corners), on a road course, culminating with a marathon. This year’s team is comprised of skaters who are based in Calgary. This will be Tyron Haarkiss’ and Mackayla D’mello’s first-ever World Championship experience. The reality for skating in Canada is that the skaters and support staff are limited in resources. 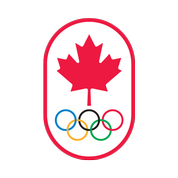 Roller Sports Canada offers limited funding for World teams. Roller Sports Canada wishes the 2010 Canadian team plenty success, safe skating, and a very positive experience in Colombia.